I've put it in a spoiler as I don't want to upset people like I managed to last time. Pictures like that one are fine as they don't give any spoilers as to what is to come in the future. It is completely and totally awesome! 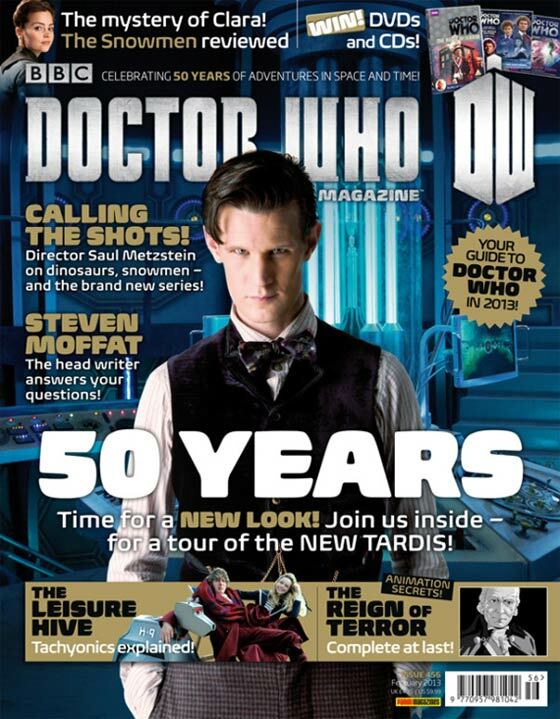 Does anyone here read Doctor Who Magazine (DWM)? That is, the adult one, not the children's one. Probs because they're diving people. Most Doctor Who fans are Sherlock fans, and arguably this season has been bad in comparison to normal DW. According to Twitter, there's going to be an 'exciting announcement' about the return of Doctor Who on 30th March, just after midnight tonight. According to Twitter, there's going to be an 'exciting announcement' about the return of Doctor Who on 30th March just after midnight. Yes. There will be an announcement after midnight about DW, which returns on 30th March. Sorry, that didn't read very well. There's going to be an announcement just after midnight tonight about this year's Doctor who season, which begins on 30th March. "Set in London against the backdrop of new and old iconic landmarks, The Shard and Westminster Bridge, 'The Bells of St John' will also establish a new nemesis, the Spoonheads, who will battle the Doctor as he discovers something sinister is lurking in the Wi-Fi." Phew, I was on the edge of my seat, if they brought out the 'KnifeLegs' the Doctor would never survive.... anyone who faces them faces their certain demise!